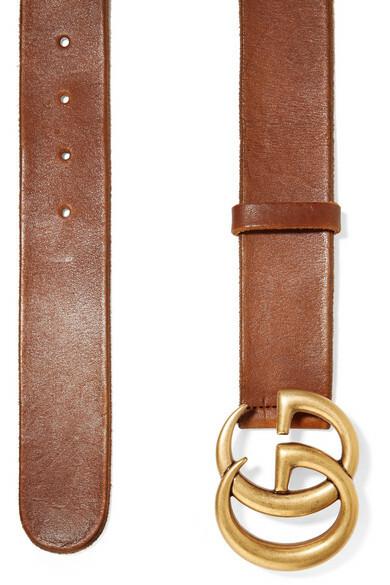 Gucci's brown belt is topped with the house's iconic 'GG' logo, making it a perfect gift for fans of the brand. It's crafted from supple leather and wide enough to thread seamlessly through the belt loops of your favorite jeans. Shown here with: Gucci T-shirt, Alexander Wang Skirt, Acne Studios Jacket.